This UI is mainly used for Searching across the various HANA CDS Search views and Search configurations created in the HANA system. The UI looks like below which is very simple with a drop down (with the list of search views) and a text field where the end users can enter the search term and press on Search button. In the drop down it should display the list of HANA CDS views with Search annotations and Search configurations. The end users can enter some search term (like * – to search for all the data) and press enter / click on search button. The result list will be displayed which is in List format. Also the format can be changed to Table display. By default only 10 results are displayed, if we want to see more click on Show more. When we talk about Search, one more important aspect which comes into mind is filtering the data. The filtering can also be done in the UI. The end user who is performing the Search can select few values in the filter to finally filter the data he needs. 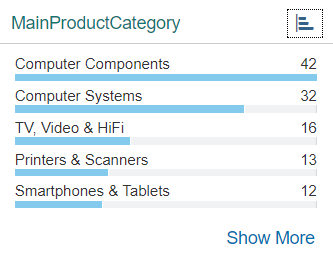 Also the filters / facets can be changed to different charts like bar chart / pie chart. Another important features is Suggestions. When the end user starts searching for a term, immediately the Search suggestions start showing up for ease. There are lot of other features which are present in the UI like Highlighting, Snippets, Why Found, Define Conditions, etc. This is a very simple Search solution which covers most of the Search capabilities. Thanks for the wonderful Blog! How to implement the search ui? 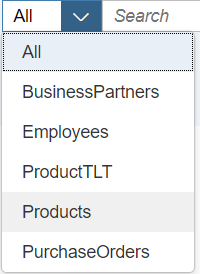 Is this a part of SAP ui5 explored app? Please advise.